I think it’s the most exciting longlist for many years, and I’d like to read most of the books on it. I’ve already ordered Sabrina from the library. 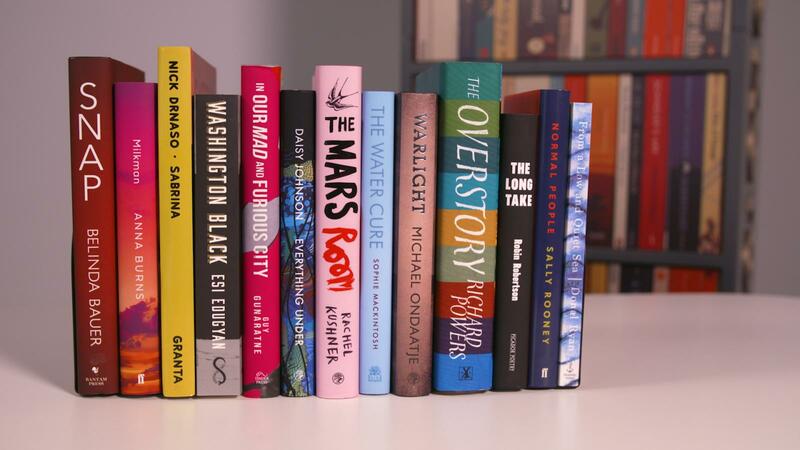 It feels like a longlist for readers rather than for the industry. Yes! We are in agreement. And I love that comment that this feels like a list for readers rather than the industry. Meh! If they wanted a crime novel, it should probably have been last year and Denise Mina’s The Long Drop which defies the boundaries of the genre. I’ve been told The Long Drop is very good on several occasions. I’ll have to check it out. Have you read Snap? No – but I probably will, as I saw it for a fiver in Tesco! I read Blacklands a couple of weeks ago as I heard Belinda Bauer interviewed on Front Row, and was intrigued. I enjoyed it, although my ultimate satisfaction was somewhat marred by a thrilling but rather silly ending – plausible endings are often hard to find in the genre, so she’s hArdley alone in that!. The Long Drop has the best depiction of Glasgow in the 1950s I’ve ever read. I find the list lacklustre and a bit boring. Not one of the synopsis’ shout out read me at all. Every year I choose 1 long list book that gets shortlisted. Last year 4321 Paul Auster. Loves it. Where is Alan Hollinghurst? I rather like it, despite its geographical narrowness – made up for by genre-wideness perhaps. There are several I’m itching to read. I’ve read The Overstory which I really, really enjoyed. You do have to devote some time and concentration to it though – but it is definitely a rewarding book. I’m definitely interested to see what the graphic novel is about. It’s movements like this even if it doesn’t make it past the longlist that could elevate the artform.